Plantar fascia pain doesn’t have to mean the end of your favorite exercise routine, but thanks to common mistakes, it often does. To keep plantar fasciitis from getting in your way, don’t fall into these traps! He was doing fine the first couple of sessions, but before long he started mentioning that he was waking up with pain in the arch of his foot. The pain wasn’t too bad at first, and it would fade a few minutes into the session, after warming up. Unfortunately, that didn’t last. The pain quickly got worse and worse, and after just 3 weeks it had gotten so intense that John stopped showing up to the gym at all. It sucked, but it really wasn’t all that surprising. When you mix arch pain with all the skipping and bouncing around the boxing ring, plus the tough guy mentality to just fight through the pain instead of easing up to address it, and it can quickly get the better of folks – just like it did with John. Plantar fasciitis doesn’t have to keep you from your activities like it kept John from boxing. But, you’ve got to take time to understand the condition so you can learn how to address it effectively. 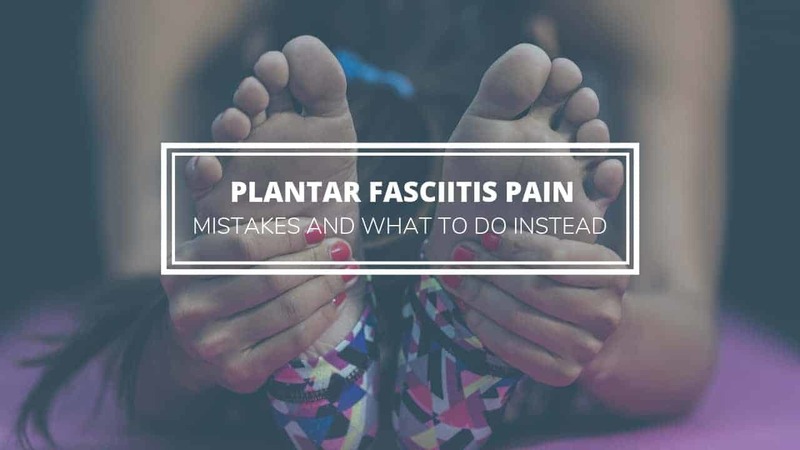 One note before we start – “plantar fasciitis” is also commonly misspelled “plantars fasciitis” or sometimes “planters fasciitis”. But no matter how you spell it, the term describes pain and inflammation of the plantar fascia – a band of tissue that stretches along the bottom of your foot or arch, from your heel out toward your toes. The condition usually develops one of two ways: the tissue is either overstretched or over compressed. In traction plantar fasciitis, the band of tissue is repeatedly stretched beyond it’s normal range. The arch might be stretched in this way due to weak muscles in the foot that don’t provide the arch support they should. It can also because by improper positioning/biomechanics of the foot – for example, if your foot turns excessively outwards or inwards (over supinates or overpronates) . If you overpronate, read this article to discover the 3 root causes that can lead to overpronation and how you can address each of them to properly correct this issue. In compression plantar fasciitis, the tissue is damaged from some sort of blunt force compression or trauma. This can happen if you say, step forcefully on something sharp, or jump off a tree when playing with your kids, but misjudge and land with the bottom of your foot on a big rock. To understand more about what’s causing this pain, let’s look at the anatomy of the area a little closer. We’ve mentioned that the plantar fascia runs along the medial arch of the foot. This fascia is a fibrous tissue that connects your calcaneus (heel bone) to the metatarsals, five bones of the midfoot that each attach to the base of your toes . This thin tissue provides support to the foot’s arch and prevents it from flattening out too much, or loosing too much of that strong arch shape. One helpful way to think about it is to picture the arch of your foot as an archery bow and the plantar fascia as the string . The string has to have some tension to hold the proper shape. Too much stretching or flattening of the string and the bow and arrow will be useless – you’ve got to have that taught shape to power the arrow’s flight. Similarly, your foot relies on the proper shape of the plantar fascia to provide ideal mechanics. Your foot’s arch truly provides spring in your step – it helps absorb energy and tension and use this elastic energy to make your movements efficient. This means your body doesn’t have to create as much metabolic energy to power your steps and jumps. If the bowstring of your plantar fascia becomes overstretched (as in traction plantar fasciitis), the arch loses support and the foot can become unsupported and over-flattened, interfering with the proper movement of your entire body. And if the fascia has too little stretch, or too much tension, it can take on more weight than it should at once – which might easily happen in an injury that causes compression plantar fasciitis . Regardless of the type, when plantar fasciitis develops, the tissue might become inflamed, have micro tears, or be otherwise aggravated and irritated . It can be easy to jump headfirst (or foot-first in this case) into strategies aimed at fixing plantar fasciitis. While the intentions are good, there are several commonly made mistakes that only function to prolong the pain. Too much icing on the arch of the foot can actually slow the healing of your plantar fasciitis. During the acute phase of an injury, ice is great at reducing swelling and easing pain. But as you progress, heat can be a great way to increase blood flow in an injured area, which helps bring nutrients and encourage healing . What to do instead: Just ice for the first 24 to 72 hours after you start to feel plantar fasciitis pain. After that, apply heat to the area. If acute pain starts to flare up again, you can go back to ice, but otherwise stick with heat. It can be oh so tempting to just pop a pill so you can push through the pain and keep up with your routine. But these meds are not miracle cures that will actually fix the problem – they’ll just mask the symptoms, putting you at risk for further aggravating your foot. What to do instead: If you can help it, avoid taking pain-killers or anti-inflammatories. By blocking the pain, these medicines will prevent you from knowing what activities aggravate your arch and when you’re doing things that are causing those microtears in the fascia. This may mean you have to stay away from high impact exercises like running, lunges, skipping, or any other type of jumping for anywhere from 1 to 6 weeks. I know this might be a tougher pill to swallow than a pain killer, but trust me – it will be worth it in the long run. Stick to low impact exercises for the time being until your foot has the chance to heal a bit. 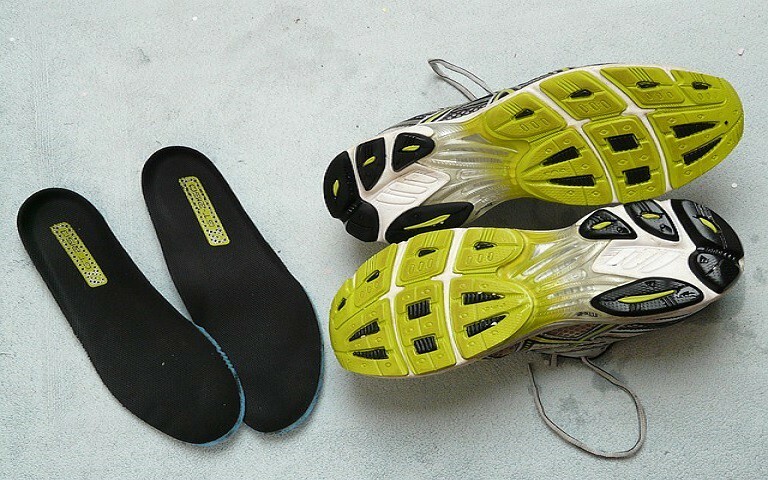 This still leaves you with some great options – cycling, swimming, or even just squats and deadlifts are all low-impact options that are easy on the feet. And instead of the pain pills, you can try a turmeric supplement. The active ingredient in turmeric, curcumin, has been found to be a potent anti-inflammatory but won’t numb the pain signal so you know when you should stop certain movements . PuraThrive is my go-to turmeric supplement if you decide to try this route over the pain killers (and I strongly suggest you do). It can also be tempting to go in hard with the foot and calf stretches, but this can be counterproductive – especially when you consider that overstretching of the foot’s arch can be a part of the problem that led to your pain. What to do instead: Instead of being too aggressive on your lower leg muscles, start slowly and gently with the stretches. It is also helpful to incorporate some longitudinal massage along the length of your foot’s arch. This can help to properly orient the muscle and fascia to heal in the right direction, without adding so much pressure that you risk further tearing the tissue. If you google plantar fasciitis, chances are you’ll pretty soon start seeing ads for night splints. But it’s best to avoid these unnecessary tools. What to do instead: Just don’t use the night splints! These props are likely to overstretch the fascia, just as aggressive stretching will. This will only contribute to flat feet and eliminating the “spring” the arch provides. Orthotics might provide temporary relief, but they are not going to solve the problem of a painful or weak arch. Instead, all they’ll do is artificially prop up your foot, meaning the muscles that need to be strengthened to build up the integrity of your foot will continue to go underworked. What to do instead: Address the ROOT Cause of your plantar fasciitis pain. What’s the Root Cause of Plantar Fasciitis? The real root cause of your painful arch is probably improper biomechanics. In other words, these problems can typically be solved by correcting form and strengthening muscle control. By retraining mobility and control of your body, you can ensure that you are moving with proper technique. Having sufficient control and strength in the foot, ankle, knee, and hip joints, and the muscles that cross them, will go a long way toward correcting form, improving the integrity of that “bowstring” in the foot, and easing pain. How are biomechanics related to pain in the arch of your foot? Consider, as an example, having tight calf muscles. Tightness in the calves can impair your ability to plantarflex the foot, the motion that helps you rise up on your toes. Restrictions and tightness in supporting muscles as you move in this way can lead to increased stress on the plantar fascia, ultimately leading to pain. Another example of how deficiencies elsewhere can affect your arch? Weakness in the muscles surrounding the arch of your foot can lead to an increase of tension on the plantar fascia, causing pain and irritation . So instead of spending time focused on these common mistakes like night splints, overstretching, or orthotics, approach the pain in your body comprehensively. Work to strengthen your feet, legs, and surrounding joints while also training proper control and good muscular balance. Doing so is likely to take some of the excess load of your plantar fascia and help ease the pain.